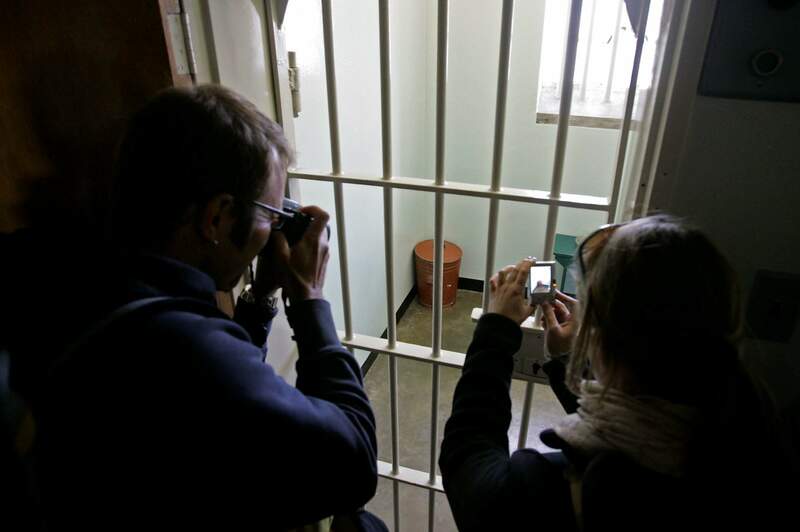 Tourists take photos of former South African President Nelson Mandela’s cell on Robben Island, South Africa. The centennial of Mandela’s birth is July 18, and those wishing to make a pilgrimage to honor his legacy will find a number of sites around South Africa, from the villages of his childhood to museums and historic sites about apartheid. 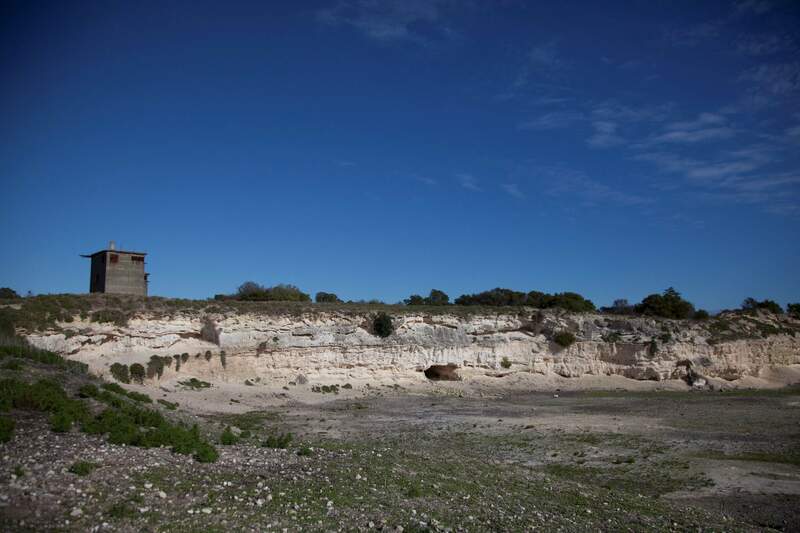 The rock quarry where prisoners of Robben Island were once forced to work is seen, and the prison is where former South African president Nelson Mandela spent 18 years of his 27-year prison term on the island locked up by the former apartheid government. The centennial of Mandela’s birth is July 18, and those wishing to make a pilgrimage to honor his legacy will find a number of sites around South Africa, from the villages of his childhood to museums and historic sites about apartheid. 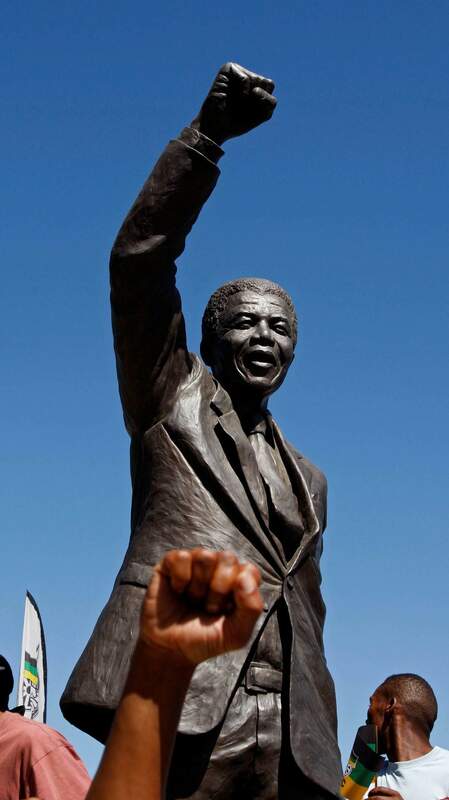 A man holds up his fist in front of the statue of former South African President Nelson Mandela, during celebrations outside the Drakenstein prison near Cape Town, South Africa. The prison was known in 1990 as Victor Verster Prison and is where Nelson Mandela spent the last part of his imprisonment for campaigning against apartheid. The centennial of Mandela’s birth is July 18, and those wishing to make a pilgrimage to honor his legacy will find a number of sites around South Africa, from the villages of his childhood to museums and historic sites about apartheid. 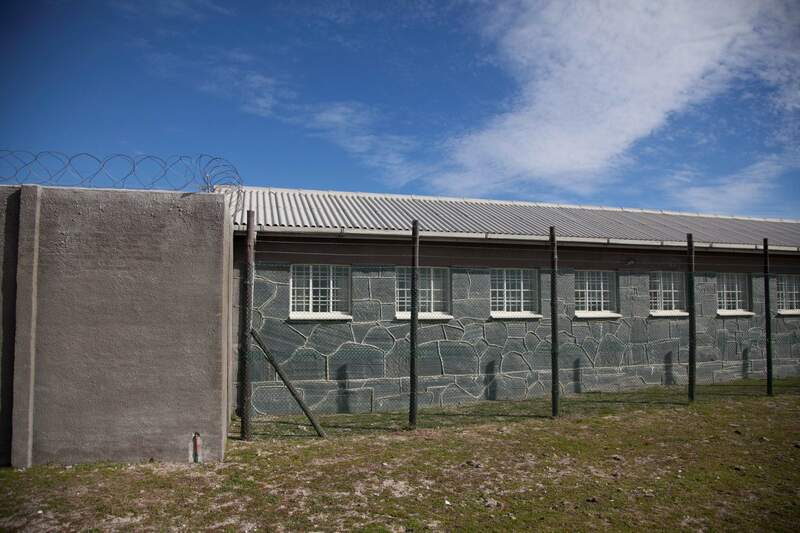 The prison is seen on Robben Island, South Africa, where former South African president Nelson Mandela spent 18 years of his 27-year prison term locked up by the former apartheid government. The centennial of Mandela’s birth is July 18, and those wishing to make a pilgrimage to honor his legacy will find a number of sites around South Africa, from the villages of his childhood to museums and historic sites about apartheid. 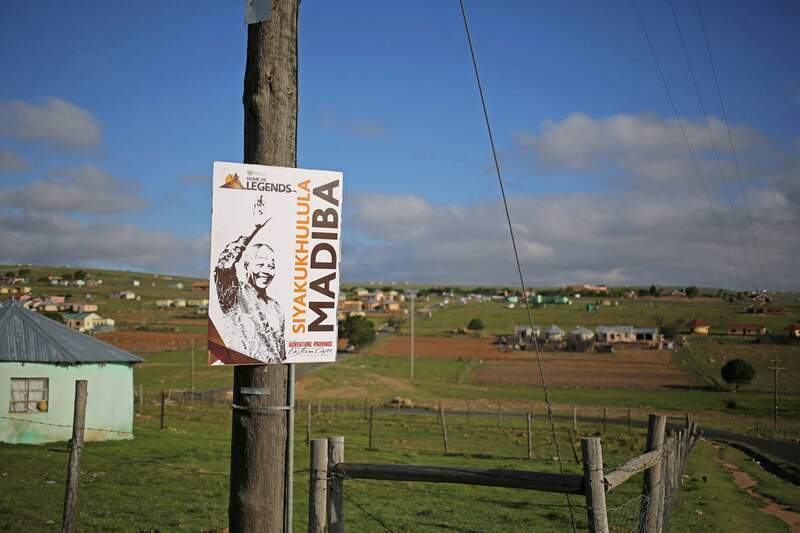 A poster of Nelson Mandela is seen in front of the house of the former South African president in Qunu, South Africa. The centennial of Mandela’s birth is July 18, and those wishing to make a pilgrimage to honor his legacy will find a number of sites around South Africa, from the villages of his childhood to museums and historic sites about apartheid. 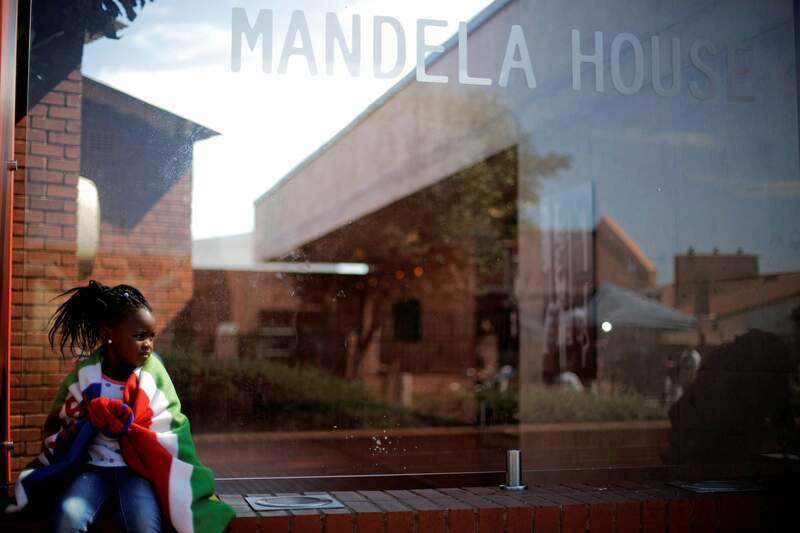 A young girl sits outside the Mandela House Museum in the Soweto township, in Johannesburg, South Africa, as the funeral service of former South Africa President Nelson Mandela takes place in his ancestral village of Qunu. The centennial of Mandela’s birth is July 18, and those wishing to make a pilgrimage to honor his legacy will find a number of sites around South Africa, from the villages of his childhood to museums and historic sites about apartheid. The farmhouse at Lilliesleaf Farm in Rivonia, north of Johannesburg, South Africa. 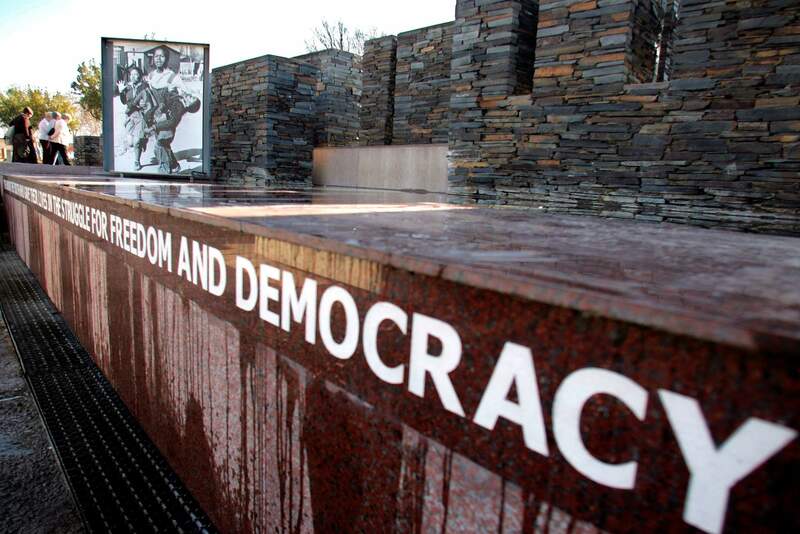 Liliesleaf became a center for anti-apartheid activists in the early 1960s, after the South African government heightened its brutal crackdown on anti-apartheid activists and forced the resistance movement underground. 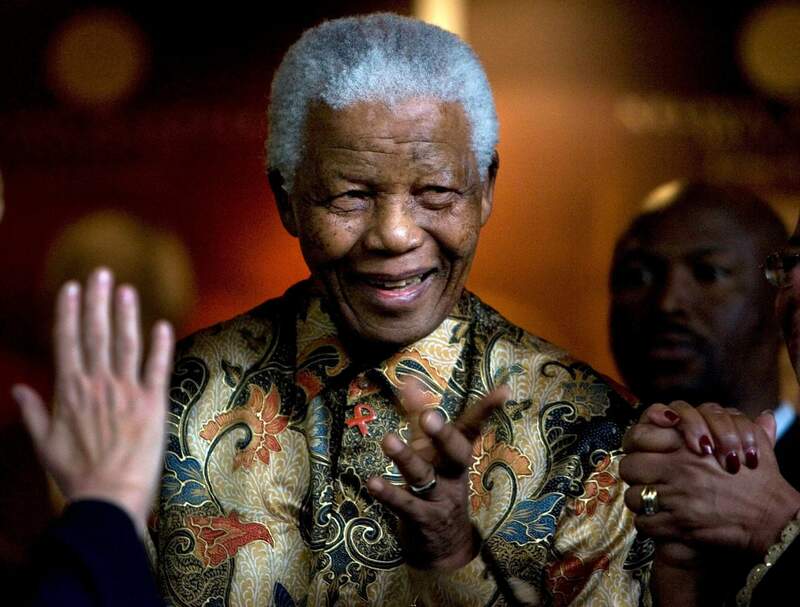 The centennial of Nelson Mandela’s birth is July 18, and those wishing to make a pilgrimage to honor his legacy will find a number of sites around South Africa, from the villages of his childhood to museums and historic sites about apartheid. 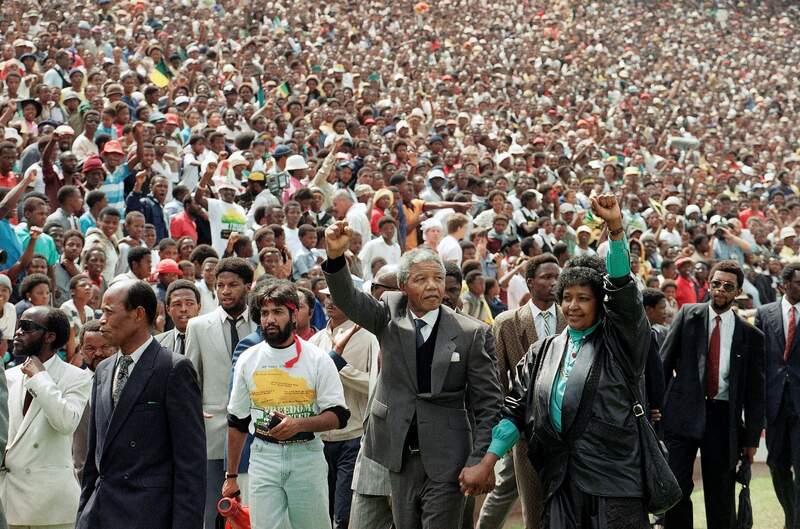 Nelson Mandela and Winnie Mandela give black power salutes as they enter Soccer City stadium in the Soweto township of Johannesburg, South Africa, shortly after his release from 27 years in prison. 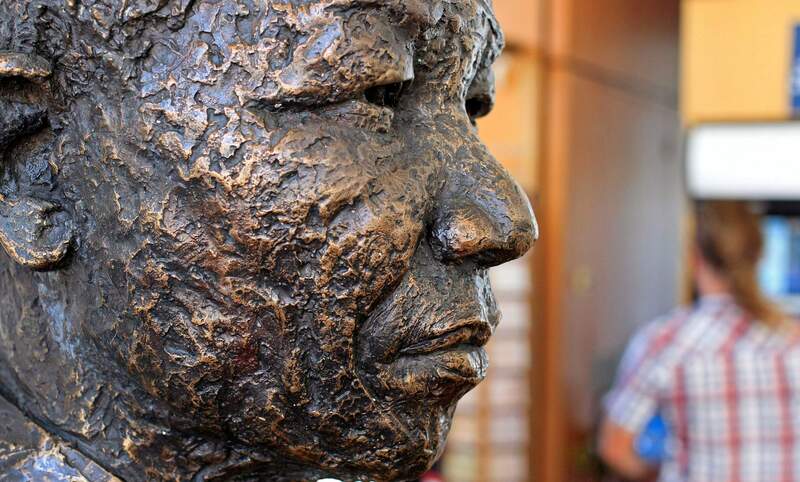 The centennial of Mandela’s birth is July 18, and those wishing to make a pilgrimage to honor his legacy will find a number of sites around South Africa, from the villages of his childhood to museums and historic sites about apartheid. QUNU, South Africa – July 18 marks 100 years since the birth of Nelson Mandela, who died in 2013. The Eastern Cape“When Mandela was just a child, he walked for miles on this route, moving from one village to another,” said tour guide Velile Ndlumbini as we drove through the picturesque green rolling hills of the Eastern Cape. Some 125 miles south lies the Steve Biko Museum in King William’s Town. Biko was an icon of anti-apartheid activism, an African nationalist and a leader of the grassroots Black Consciousness Movement. He was a major influence on Mandela, and died in 1977 after being arrested and beaten. SowetoCreated in the 1930s by the white government to relocate the black population away from Johannesburg, Soweto became the largest black city in South Africa. Poverty was rampant in the shanty towns and civil unrest was common during apartheid. Tourists leave after visiting the Hector Pieterson Memorial in Soweto, South Africa, ahead of the commemoration of the 30th Anniversary of the 1976 Soweto Uprising. 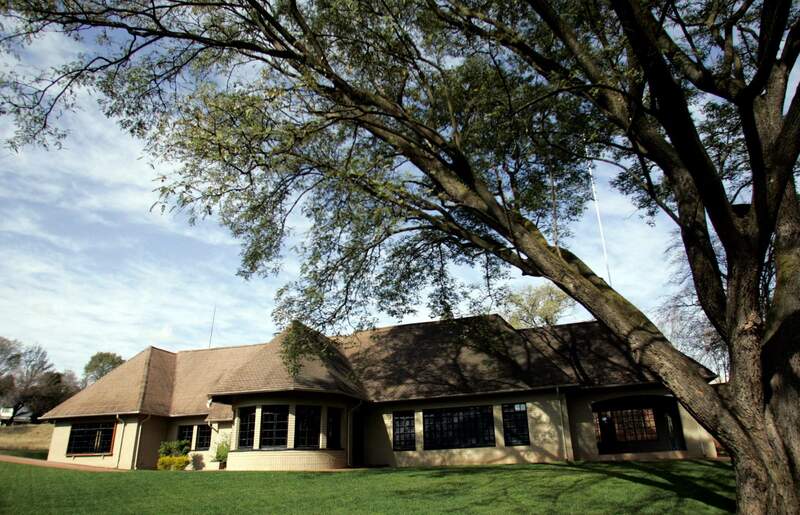 The centennial of Nelson Mandela’s birth is July 18, and those wishing to make a pilgrimage to honor his legacy will find a number of sites around South Africa, from the villages of his childhood to museums and historic sites about apartheid. Robben IslandA 45-minute ferry ride from Cape Town, Robben Island is where Mandela spent 18 years of his 27 years in prison, beginning in 1964, alongside other heroes of the movement like Sisulu and Govan Mbeki. A statue of former South African president Nelson Mandela at the entrance to the Robben Island ferry departure point at the V&A Waterfront in Cape Town, South Africa. The centennial of Mandela’s birth is July 18, and those wishing to make a pilgrimage to honor his legacy will find a number of sites around South Africa, from the villages of his childhood to museums and historic sites about apartheid. The most powerful part of the tour, led by a former prisoner, is a visit to Mandela’s cell, a 7-by-9-foot room. Despite the humiliation and oppression of his years here, this was also where he honed his skills as a leader, negotiator and proselytizer, which put him on the path to the presidency in 1994. Madiba’s journeyFor visitors, making a pilgrimage to places connected to Mandela’s life is both distressing and uplifting. While South Africa has come a long way, this young democracy still has a lot of work ahead, including improving living conditions and resources for its majority black population.